If you’re a fan of Twitter, you already know that @buffalobills had trouble finding Minnesota two weeks ago and of course, the helpful folks on twitter ran to the rescue and made sure that @buffalobills were able to find Green Bay this past Sunday. According to Twitter, before landing in Green Bay, the Bills traveled out of their way to fly over Minnesota and leave a W in the sky. Finding ourselves up extra early on Sunday morning, my husband and I are 90% sure we followed the Bill’s team bus on the freeway for a period just past Appleton. Literally, no one circles the wagons like the Buffalo Bills. The Lamers bus had four police escorts, all lights flashing. Two in front, one on the side prohibiting any vehicle to pass, one in the back, and they were moving. We couldn’t pass, so arriving by 8:30 am felt late to us. It was a dreary, damp morning but we found fans were up early tailgating. If you ever think to try, trust me when I say you can successfully cook eggs, over easy, on the grill, using an 88 cent cupcake pan from Wal-Mart. We enjoyed sausage egg, and cheese muffins with our bloody marys during our tailgate with relatives and friends who found us in our same spot. On the walk to the stadium, we saw broken tables, cans, more litter than I have seen in a long time and Jim Kelly jerseys. My husband and I thanked Bills fans for coming and politely reminded them to pick up their trash before leaving. During the first half I lost my custom Ty Montgomery can koozie somewhere but was thrilled to witness both Jimmy Graham and Aaron Jones find the end zone for the first time in the regular season. The statistical findings of the game will point to our defense as the standout. Recording seven sacks and three turnovers, Green Bay was able to hold the Bills scoreless. The first shutout found since 10/31/2010 versus the New York Jets. Naturally, it was the helpful folks on Twitter that once again aided @buffalobills in finding the quickest route back to New York; a path that obviously included leaving an L in the sky over Wisconsin. 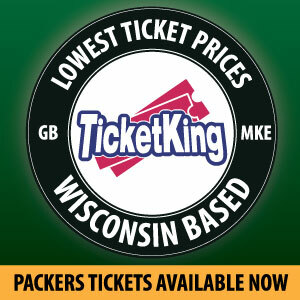 This week I am most excited for the Packers to get inside and out of the elements. I trust our offense can turn it up in the dome and our defense will keep the momentum gained by a shutout. I will be wagering a Dunkin Donuts coffee with my co-worker Chase and may even bring my portable flagpole to the office parking lot for a day or two. 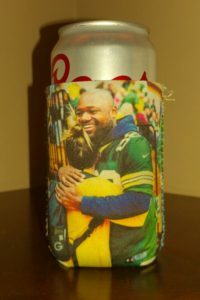 I should mention that I will be enjoying my beverage of choice from my custom Ty Montgomery koozie. That’s right, I retraced my steps and found it! A 13x World Champion vibe always; I leave you with a quote spoken by Ha Ha Clinton Dix in a post-game interview posted on www.packers.com ….. A goose egg is “Something I’ve always wanted in the league.” Awesome Ha Ha, happy you found it! 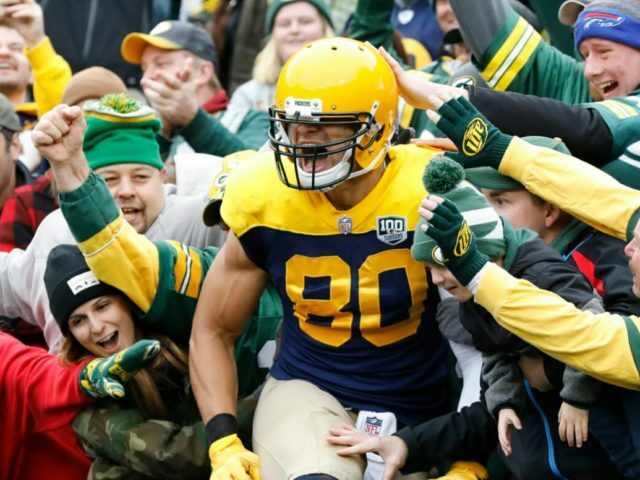 This entry was posted in Packers 2018-2019 Season, Packers History, Sarah Szejn and tagged @buffalobills, Aaron Jones, bloody mary, buffalo bills, defense, Dunkin Donuts, Green Bay Packers, Ha Ha Clinton-Dix, Jim Kelly, Lamers, new york jets, shutout, taigate, twitter, Ty Montgomery, Wal-Mart. Bookmark the permalink.